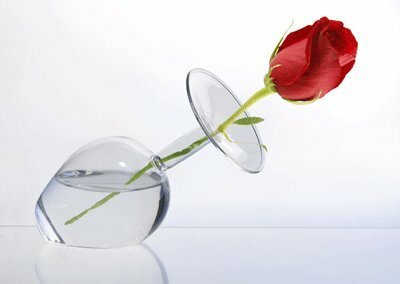 A single dramatic flower becomes an arresting work of art in our clear glass vase. It is, in fact, a wine glass . . . upended at an angle, with solid base and open stem. Place water and flower inside: the weight of the water provides stability as the flower extends gracefully outward. Such creative décor, and with so little effort required. About 6¾” long, measured upright. About 6¾” long, measured upright. This entry was posted on November 8, 2018, in Glass. 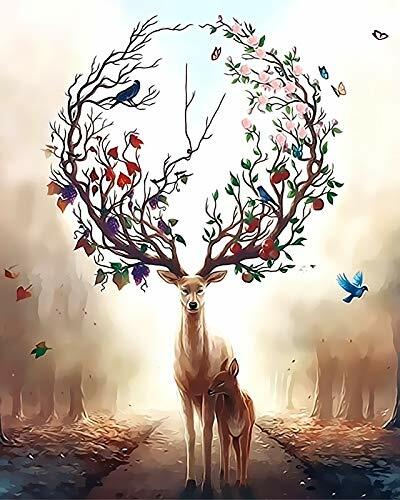 Contemporary gallery fine art by Asdam Art —“Tree of Love” A mix of feminine and masculine elements and colors. 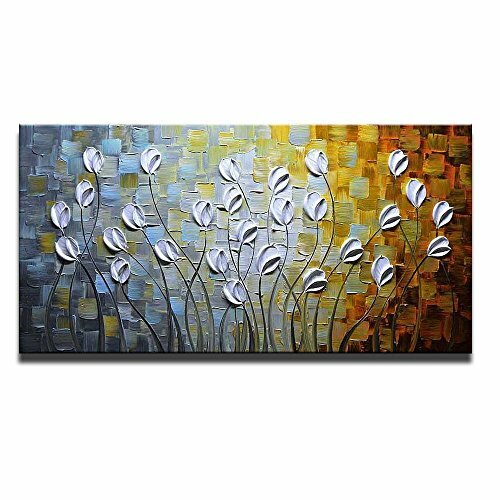 – Modern Abstract thick texture impasto landscape – palette knife 3D oil painting. To see closeups please click on above images..
We only use the best of the best professional ARTIST GRADE canvas and paint so you can always be assured you are getting a gallery quality piece – You will never find me cutting corners (even in this economy) with cheap plaster/joint compound/home improvement store bulk paint OR machine made flimsy canvases, all paintings are hand stretched with premium canvas and stretcher bars. Size: 50*100cm(20*40inch)—To see closeups please click on above images. Materials: acrylic,oil, impasto, texture, metallic, palette knife, large canvas, Mixed Media Acrylic. Stretched and Framed: Deep gallery back wrapped stretched canvas, painted edges, easy ready to hang. Buy with confidence! 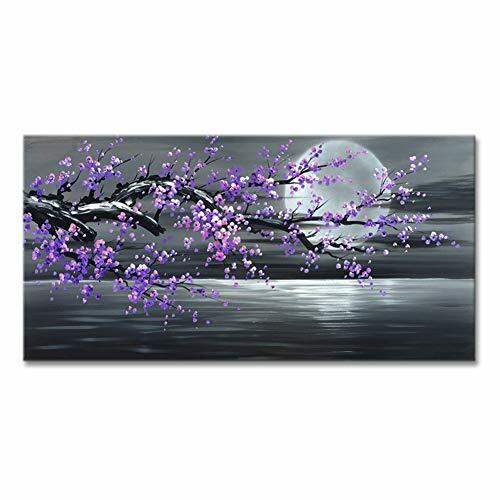 A perfect wall decorations oil paintings for living room, bedroom, kitchen, office, Hotel, dining room, bathroom, bar etc. A great gift for your relatives and friends. This entry was posted on November 8, 2018, in Uncategorized. This entry was posted on November 8, 2018, in Jewelry. The product is made of a brand new material zinc alloy so the product body is firm and pro-environment. 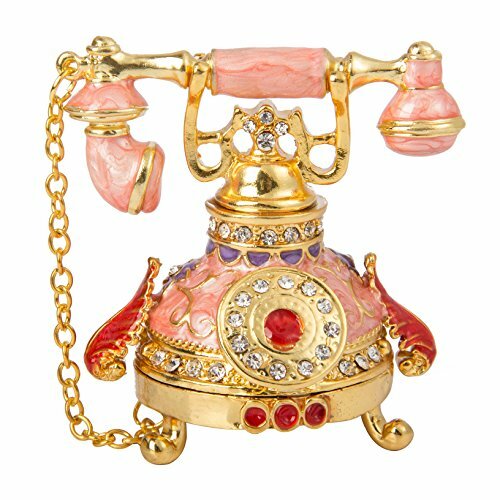 Covered by lustrous and smooth enamel, it dotted with many high quality rhinestones, which makes the product exquisite and rich color. So it is quite suitable as a gift or a collection to the relatives and friends. A brand new custom, high-end gift box with a golden appearance highlights the luxury of the product. The multi-layer casing protects the product from any damage that may occur during long-distance transport. The way of open-close type allows you to display the gift to your friends and family better. With careful procedures, it not only aim at as a decoration of the house, but also as a craft item to bring joy to the customers. We devote many elegant elements to the product to ensure an eye-feast experience for the people who pursue a high-level life. For all series products of QIFU, we promise to provide 100% refund guarantee . While pursuing the superior product quality, QIFU also committed to providing good customer service to every distinguished guest. What we firmly believed is that only by providing high quality and satisfactory customer service to every customer can we achieve the true value of an enterprise. QIFU is a metal crafts design and production company, which have been engaged in metal crafts design and production for 19 years. For a long time, QIFU has been devoted to provide every honorable customer with an exquisite gift that highlights the quality of life. We never stop for a moment in the pursuit of art and beauty. QIFU，Devotion makes excellence. The egg is made of a brand new material zinc alloy so the egg body is firm and pro-environment. 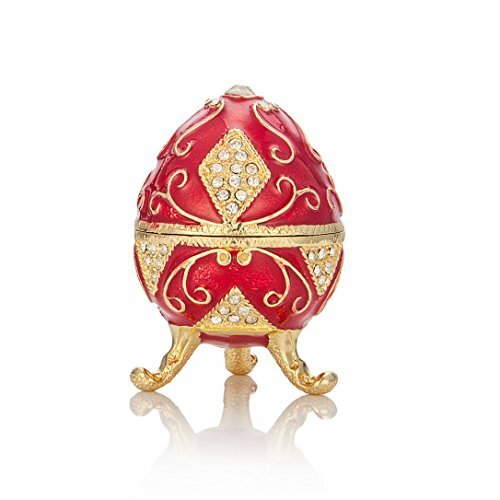 Covered by lustrous and smooth enamel, it dotted with many high quality rhinestones, which makes the egg exquisite and rich color. So it is quite suitable as a gift or a collection to the relatives and friends. This entry was posted on November 8, 2018, in Wood. Please check our other items at unbeatable price. End soon! Store Indya was something that was created as a result of family trips we took across India. While travelling, we not only saw different cultures in different parts of India, but we also realized each corner of India has its own secret. They all have their own unique art forms that’s known to only a very few in India, and almost unknown to the rest of the world. We discovered that these age-old glorious skills are getting suppressed. The artisans that we work with are trying to continue the dying legacy of their artwork. Each artwork handcrafted by them is an end product of their hard and meticulous work. ♥ ANTIQUE AND VINTAGE APPEARANCE: Hand carved out of durable Mango wood which is known for its rich, natural luster and natural grains. Designed in a unique way and adorned with elephant carvings on the top. 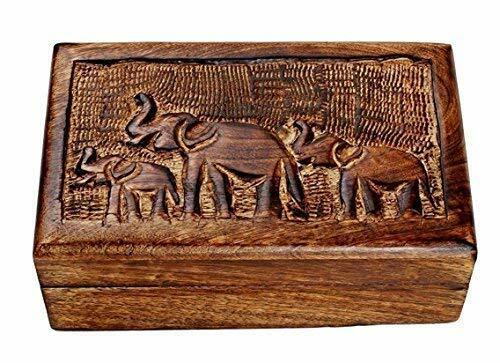 Inspired by the elephant army of the Great Indian Emperor Chandragupta Maurya, this box adds an individualistic and royal statement when set by a dresser or tabletop. Also, internally it is smoothen to ensure its contents remain safe and scratch free. ♥ PERFECTLY SIZED: (LxWxH) 6″ x 3″x 2″, this multipurpose box is perfectly sized to sit on your dresser without using too much of space. It provides sufficient space to store multiple items in a neat and tidy way. ♥ HANDMADE & TRADITIONAL CRAFTMANSHIP: By purchasing this product from Store Indya, you will help sustain the 1,000 year traditions of handmade artistry of ethnic artisans living off the heartland of India, as we will donate 10% of our profits to train a new generation of artisans with modern techniques of craftsmanship. 100% SATISFACTION GUARANTEED: To ensure you receive genuine item, please make sure to buy from “Store Indya”. If you are not happy you can always return it within 30 days. ♥ CLASSY GIFT: Creatively designed wooden jewelry box is ideal for a classic gift. It can be gifted on the occasion of Mother’s Day, Father’s Day, Housewarming, Birthday, Christmas & New Year. It is one of the most thoughtful gift you can give your loved ones! This ring box adopt buckle design to lock or open, more convenient to collect your jewelries and not easy loosen that make your items lost. Leather made ring collector looks beautiful and anti-abrasion, black color will never obsolete, can be an honest friend in your whole life. Perfect for holding most of your jewelries, such as rings, earrings, bangles, necklace, etc. 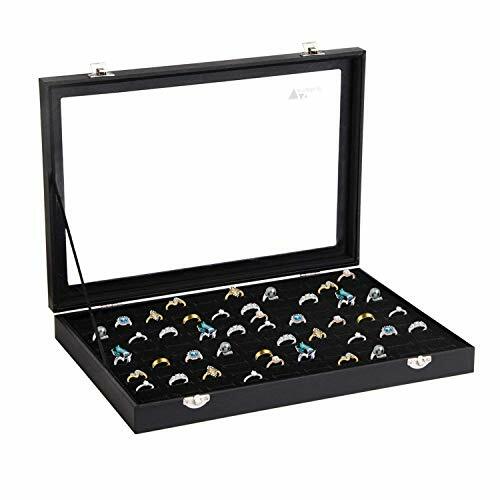 Amzdeal offer 18 months warranty for this ring case after the date of original purchase. Any question please contact our customer service in the first place to get resolved at any time. 【100 slots & Large capacity】With 100 slots, amzdeal ring tray holds up to 100 jewelry rings, earrings, bracelets, etc. All your rings or jewelries can be put in one box, and be found quickly. 【Solid and Compact】Made of high quality wooden material, this jewelry storage case has a solidly built and a good shape. It is coated with black leatherette, looks fashion and elegant. 【Perfect Jewelry Rings’ Protector】 The glass lid protects your rings and jewelry from scratching, dust and moisture. The cover is so clear that would be more easy to see though. The inside lining, be made of soft velvet, holds rings tightly. This entry was posted on November 8, 2018, in Prints.